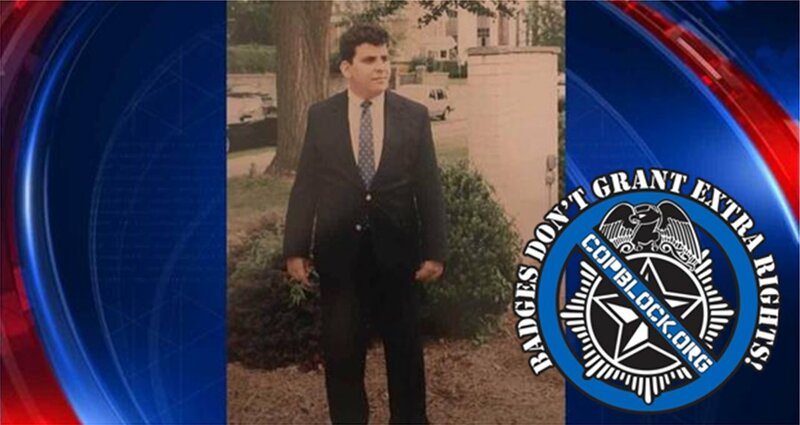 A Virginia man that suffered from both developmental and physical disabilities, is now dead after being confronted by officers with the Fairfax County police department. Police officials said that 45-year-old Paul Gianelos, a resident of a local non-profit group home in Falls Church, wandered away from his group at Round Tree Park at 3320 Annandale Road around 1 p.m. on Wednesday. Caregivers called police and officers responded, finding Gianelos about a mile and a half away walking down the road before notifying the group home so they could come retrieve him and place him back in their care. According to police, Gianelos was first confronted by a 22-year veteran officer who is trained in crisis intervention and how to deal with the developmentally challenged, and became combative while waiting for his caregivers to arrive. This resulted in the cop calling for back up, and three other officers arrived on the scene and a struggle ensued with Gianelos suffering a scrape to his forehead, presumably from the ground or pavement, after being taken down by the cops. Police said they called paramedics because of the head injury and that Gianelos was still alert and breathing while waiting for them to arrive, but went into cardiac arrest shortly after. Fire and rescue reportedly performed CPR on the man while he was being transported to Inova Fairfax Hospital, and he was declared dead after he arrived at the Emergency Room. According to family, Gianelos was profoundly autistic requiring 24-hour care and supervision for his disabilities and couldn’t even speak, meaning he could not talk with or understand police officers. They said he also had a history of wandering off and experienced a similar encounter last year when he went missing and was subsequently “roughed up” by Fairfax County police officers. The incident again raises the issue of how officers are trained to deal with the mentally and developmentally disabled. Family are expecting an autopsy to be conducted in the case on Thursday and police say they have launched both an administrative and major crimes division investigation.